De nieuwe Blade Stealth bewijst dat niet alle GeForce MX150 GPU's gelijk zijn gemaakt. Het is de snelste 13,3-inch Ultrabook die we hebben getest met grafische prestaties, net achter de GTX 960M. Verder is het model een slank pakket ter grootte van een MacBook Pro 13. If you do desire a machine that’s tiny, light and capable of a bit of gaming, though, the Razer Blade Stealth 13 is excellent – and it’s a great option if you want a brooding ultraportable for work, too. Just be aware of its prices and compromises before you take the plunge. To wrap up, the new Razer Blade Stealth 13 is a polished and refined ultraportable notebook that has features that most gamers are looking for in a portable notebook. The model with discrete graphics that I tested has good performance, a very respectable battery life, and a Thunderbolt 3 port so that it can be hooked up to an external GPU. Overall build quality is one of the best in the business and its design is clean, simple, and attractive in a minimalist way. The keyboard and trackpad are both excellent but the shrunken right “Shift” key can be problematic for some. Even with its new design, improved graphics power, and better quality-of-life features, the Blade Stealth still occupies an awkward middle ground. It’s a portable laptop that doesn’t have the battery life of many other thin and light computers, but it also isn’t really powerful enough for serious gaming or video editing. 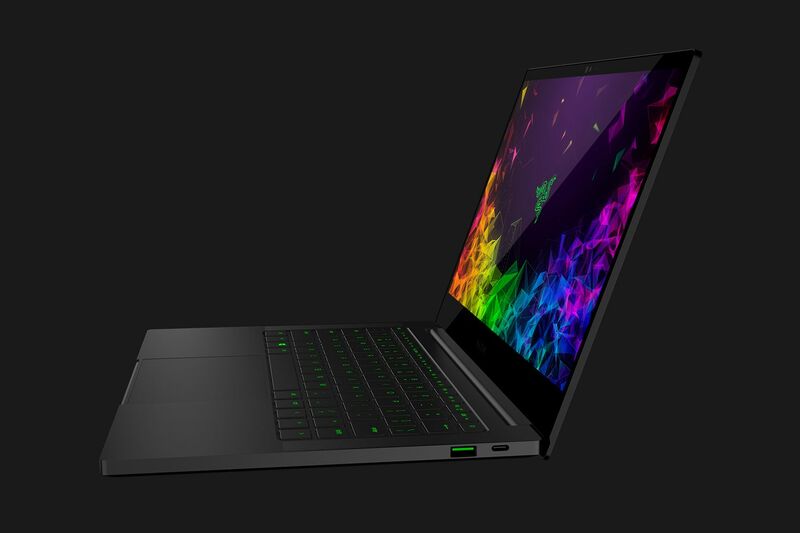 The Razer Blade Stealth 13 (2019) is a superb ultrabook, surpassing the likes of the MacBook Air in almost every category while flaunting charisma that will no doubt lure in the gamer crowd. It's no bargain, but anyone looking for a Windows alternative to a 13-inch MacBook Pro should start their search with the Razer Blade Stealth. It’s not unusual for top-end products with the fastest hardware to offer less than optimal bang for buck; there’s always a premium associated with getting the fastest or best products. The question is whether you’re willing to pay extra, or whether you’d be satisfied with the multitude of other options on the market. Gorgeously designed and packed full of power, the Razer Blade Stealth has the makings of an elite device that can compete with the likes of the MacBook Pro. This 13.3in ultraportable is, however, let down by a handful of problems that blacken its otherwise strong credentials. All of which means the Stealth 13 is a darned desirable as a luxury Ultrabook. Think of it in those terms and the moderate gaming ability as an extra rather than a core feature and its an appealing if pricey overall package. With a discrete graphics card and an Intel Whiskey Lake processor, the Razer Blade Stealth is a capable machine for work and play. If you're looking for an Ultrabook that can also handle a bit of casual gaming alongside day-to-day work, the Razer Blade Stealth certainly looks like your best bet from first impressions. Whether it offers the powerhouse performance that Razer claims remains to be seen though. We’ll have a review unit of the Blade Stealth in soon, so stay tuned for more detailed performance numbers. It does preserve its portitude relative to other ultraportables, with two USB-A ports and two USB-C connections, one of which supports Thunderbolt. You'll still need to dongle it for HDMI and Ethernet, which dulls the luster a tiny bit for business use. 1.31 kg: Dit gewicht is typisch voor erg grote tablets, subnotebooks, ultrabooks en convertibles met een 11-13 inch schermdiagonaal. 80.19%: Deze score moet gezien worden als gemiddeld, omdat het aantal notebooks dat hoger scoort ongeveer gelijk is aan het aantal dat lager scoort.